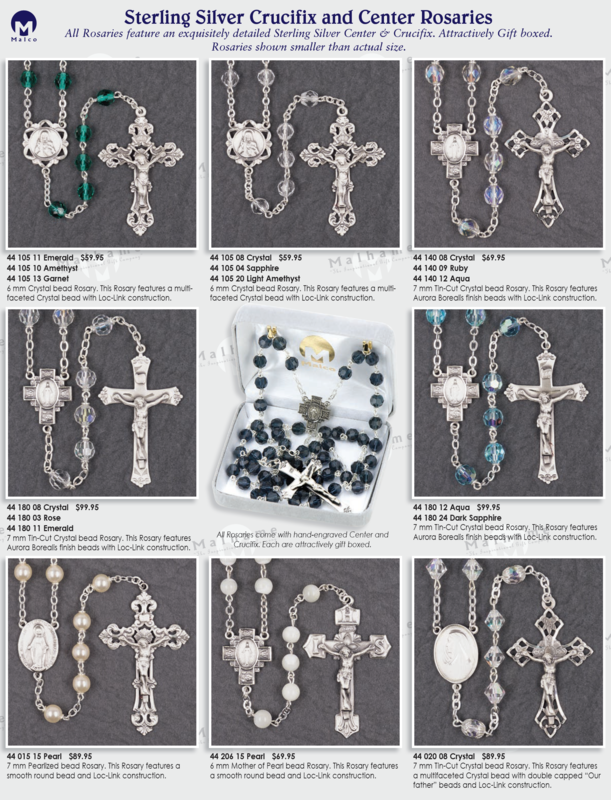 All Rosaries feature an exquisitely detailed Sterling Silver Center & Crucifix. Attractively Gift boxed. Crystal bead with Loc-Link construction..
Aurora Borealis finish beads with Loc-Link construction. father” beads and Loc-Link construction.